Woody Lashin and Pete Makowski have been in the business of fitting golfer for more than 30 years. In a business where there is no substitute for experience, that is a lot of experience. They custom build and tailor each club to the client’s needs and specifications, selling only clubs that we have custom fit and custom built. 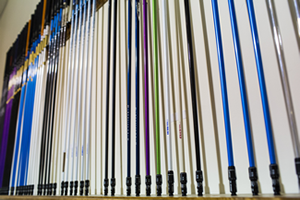 Pete’s Golf uses a MaxOut Golf Shaft Max in fittings to access how a golfer loads a shaft. Their testing bays are equipped with Foresight HMT launch monitors, giving them an accurate assessment of the head at impact. Woody and Pete closely monitor both the golf industry and PGA Tour to keep informed of the hottest technology on the market. They test every product they sell and recently added EI and GJ shaft measuring instruments to their shaft testing protocol. 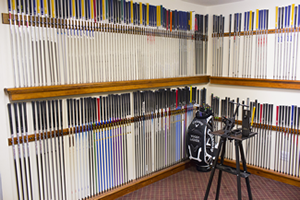 The value in independent testing is knowing exactly how the shafts, and heads perform; there are no surprises. They take pride in only recommending gear that they know works. The blend of leading edge technology, comprehensive array of fitting clubs and over 30 years of fitting experience ensures the best possible fit for golfers of any caliber. They pay attention to the smallest of details, giving the golfer an experience like no other. Woody Lashen attended and graduated from New York Tech on a golf scholarship. A self-proclaimed “golf-aholic,” he is still an avid golfer and competes regularly in amateur tournaments. 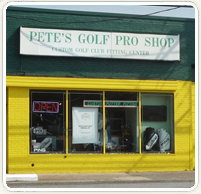 Pete’s Golf is located at 208 East Jericho Turnpike, Mineola, NY 11501. You can reach Woody or Pete at 516 248 6891 or info@PetesGolf.com.